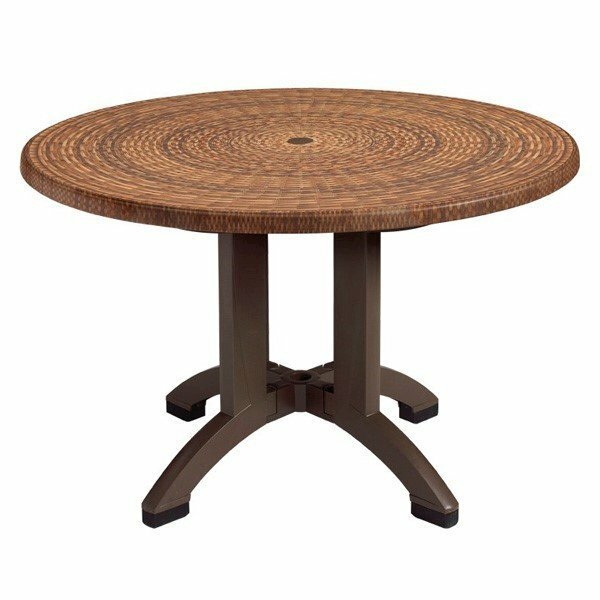 This Atlanta round 42" table is made of 100% prime resin materials resistant to salt water, chlorine and most stains. Fashioned with a wicker pattern that will accent most decors. The large 4-prong pedestal base offers. Features an umbrella hole with cap to fit any umbrella with a 1 1/2" hole. Easy to assemble and maintain. Our outdoor furniture is designed for the restaurant and hospitality industries, call today to find out about quantity discounts.